Retail Price: $80.00 Log in for LOWEST PRICE! Claude Parent established the Domaine Parent in 1803. In 1998, six generations later, Anne and Catherine Parent took over from their father Jacques. For the past 20 years, Anne Parent has minded the viti- and viniculture side of the enterprise, while Catherine Fages-Parent has managed the business. La Croix-Blanche, a name which means "The White Cross" is a commune in the Lot-et-Garonne department in southwestern France. 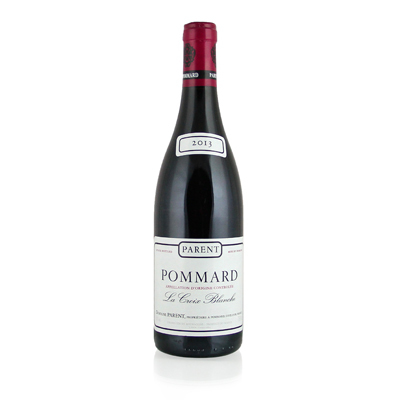 The terroir of Pommard Village is rich in clay and limestone, whose minerality makes an appearance in the nose of many of its wines. The vines are carefully pruned and the grapes handpicked, keeping the yields slightly lower to intensify the flavors. The wine is allowed to mature for 14 to 16 months in French oak casks, 30% of which are new. What emerges is a balanced and elegant wine, both strong and subtle. Flavors of wild cherry and black currant swirl endlessly across your palate, rounded out by the perfect touch of tannins.